Remote asset monitoring is challenging and complex. Today, IoT-enabled solutions, such as SenseIT IoT by Domain, enable businesses to monitor the location and environmental condition of their shipments and maintain the quality of their goods and products from departure to destination. Domain Consulting Group, based in the Philadelphia area, delivers exceptional SAP solutions for small and mid-sized businesses looking to leverage enterprise resource planning technology to significantly improve efficiency and productivity and achieve operational excellence. SenseIT IoT can be used to track the port departure, port arrival and warehouse arrival of most commodities, but is primarily targeted to the pharmaceutical, food and agriculture industries where environmental controls during shipment are critical. The system alerts businesses to condition changes that affect their in-transit products, including temperature, moisture, acceleration, tilt, shock, broken seals, and other variables for the duration of the trip, and provides them with real-time actionable data. 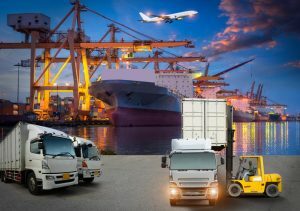 SenseIT IoT by Domain takes conventional GPS tracking to the next level by integrating with SAP HANA cloud technologies. Innovative sensors capture global data and then the data is standardized, consolidated and maintained in a HANA database, and pushed to ERP for quick action. Gain real-time insight on shipment environmental conditions, e.g., cargo temperature, humidity levels, etc. If you are not currently on an SAP platform, SenseIT IoT can often be integrated with other ERP platforms, such as NetSuite. If you are considering an ERP solution for your business, you should select one that offers the most value and provides the greatest return on your investment. SAP Business One is an exceptional solution for customers who want to reduce costs, improve flexibility, improve quality, and eliminate operational complexity. The experienced consultants at Domain Consulting Group will work within your budget to help you achieve the best results from asset monitoring solutions like SenseIT IoT. Call us today at (610) 374-7644 ext. 7005 for a free consultation.